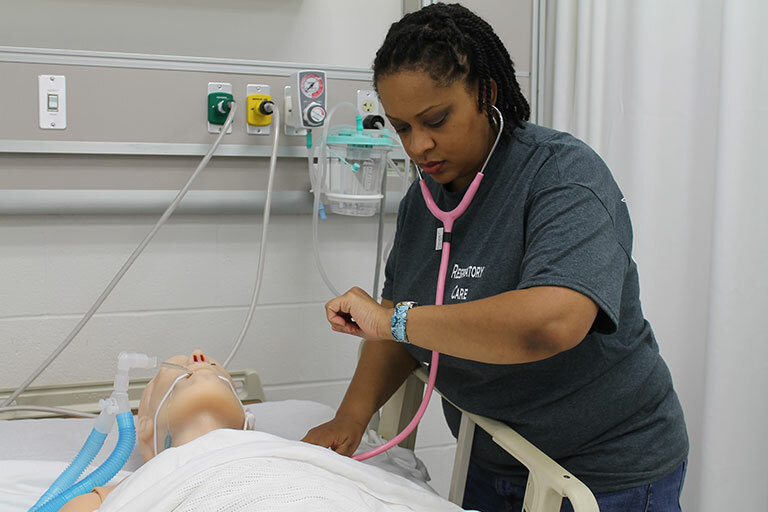 The Respiratory Therapist program at Somerset Community College prepares graduates to provide and manage client care by becoming members within the discipline of respiratory care. Graduates are prepared and eligible to take credentialing examinations administered by the National Board for Respiratory Care (NBRC) to practice as entry level practitioners (CRT) as well as advanced level practitioners (RRT). Like most states in the nation, Kentucky has a mandatory certification law for Respiratory Care Practitioners. This certification gives the holder the right to practice respiratory care in the Commonwealth. Reciprocity exists between Kentucky and most all other states. All students planning to apply to the next Respiratory Therapist Program, beginning January 2020 MUST attend a Pre-Admission Conference prior to applying. Pre-Admission Conference Dates. Respiratory Therapists work as important members of the health care team and provide treatments to clients with cardiopulmonary disorders. Most therapists are employed in cardiopulmonary medicine or respiratory care departments of hospitals. Others are employed by home health agencies, pulmonary rehabilitation programs, pulmonary function laboratories, medical device companies, and physician offices. For further information regarding this profession, please visit www.AARC.org. Highly Recommended general education courses of 6-7 hours.